Lenovo's IdeaPad Y510 is probably one of the best thin and light notebook systems when you look at the overall features it provides and its cost. Items such as 4GB of RAM, Bluetooth and dedicted graphics make this a very good laptop for those looking at some more than a budget system. Despite the display dilemma, this model represents a solid effort by Lenovo to court a more consumer-centric audience. The Y510 delivers a nice array of multimedia features for a good price. When is a ThinkPad not a ThinkPad? Don't twist your brain too hard around this riddle. It's when Lenovo, a corporate staple, makes a play for the casual laptop buyer, dressing up its solid, well-built systems with some new consumer-friendly features and naming it the 15-inch IdeaPad Y510. Lenovo's entry into the consumer laptop market with the 15-inch IdeaPad Y510 provides ThinkPad-like quality but the design still comes off as a little buttoned-up. The IdeaPad Y510 is a solid first notebook for Lenovo’s new consumer line. The robust sound system and convenient facial recognition software help this budget machine stand out from the pack, even if the orange accents won’t appeal to everyone. The Dell Inspiron 1525 offers more performance for your buck, but the IdeaPad Y510’s unique feature set makes it one of the better 15.4-inch notebooks you can get for under a grand. The ThinkPad brand is an iconic image in the corporate world, but Lenovo has been absent from the U.S. consumer laptop market—until now. 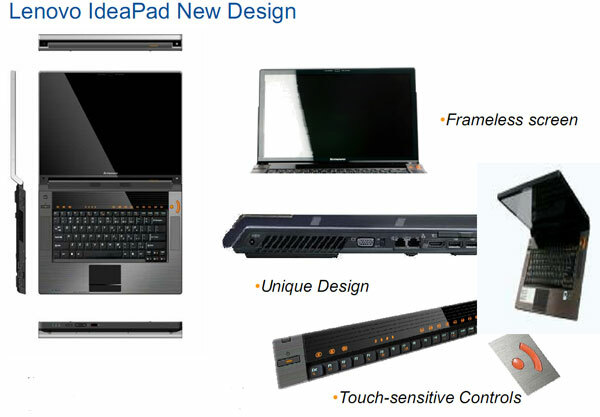 The company's recently launched the IdeaPad line as its first set of non-business models to debut on these shores. Lenovo's first consumer laptop in the United States has excellent design appeal, but it's available only through limited retail channels. 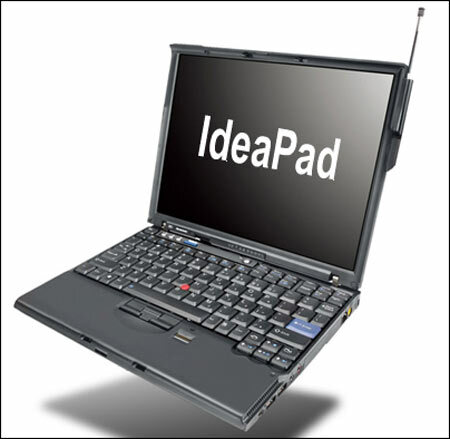 The name ThinkPad has been synonymous with business for years and remains one of the single most popular notebook brands for corporate road warriors. But what about average consumers? This is where Lenovo's all new IdeaPad line of notebooks comes to the rescue. The 15-inch IdeaPad Y510 offers innovative design, solid technical specs and impressive built-in speakers that make other laptops look like cheap toys. The Lenovo IdeaPad Y510 (starting at $814.99 MSRP) is available with a range of Core 2 Duo processors (from the Intel T2330 1.6GHz Core 2 Duo up to the T8100 2.1GHz Core 2 Duo). There is only one 15.4" screen offering, a 1280x800 WXGA glossy display. T5450: » Further information can be found in our Comparison of Mobile Processsors.